How are Retirement Accounts Addressed in Divorce? As a general rule, the division of marital property during divorce litigation depends upon the date that each asset was acquired. Property acquired before marriage or after separation ordinarily belongs to the acquiring spouse. By contrast, according to the law regarding property division, property acquired between the date of marriage and the date of separation is ordinarily divided equally between the two spouses. Retirement accounts are no different from other forms of marital property in a divorce case in the sense that they are subject to the general “time of acquisition” rules described above. However, two complicating factors frequently arise within the context of retirement assets. First, many retirement accounts are not “acquired” at a single point in time. Second, federal rules and retirement plan policies may restrict an employee’s ability to assign his or her interest in a pension to anyone else, including a former spouse. Property that is acquired over a range of time, rather than on a single, discrete date, may need to be apportioned between the community estate (in which each spouse holds a 50% interest) and the employee-spouse’s separate estate. There are two common types of pension plans: “defined contribution” plans and “defined benefit” plans. 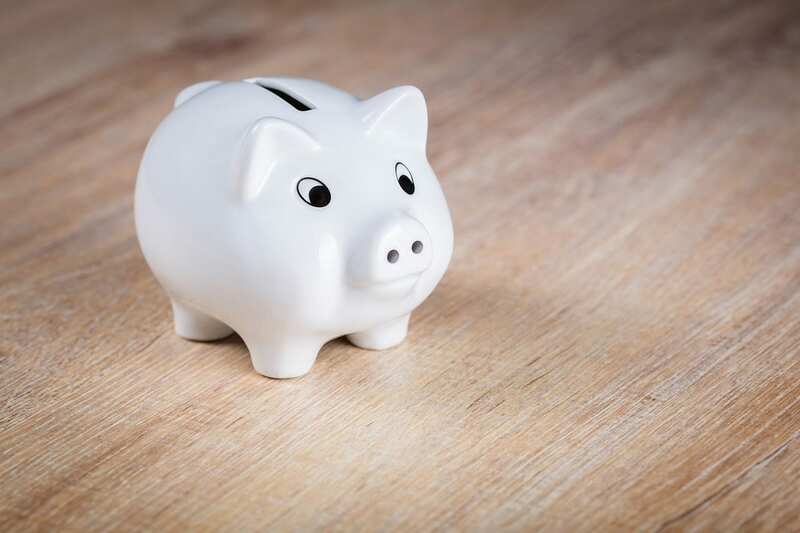 A defined contribution plan is one in which a specified amount is contributed annually, typically in equal contributions by the employer and employee. Common examples of defined contribution plans include stock bonus plans and profit-sharing plans. Classification of a defined contribution plan as a community or separate property is accomplished in the same manner as classification of investment accounts. The amount of funds in the account on the date of separation will be classified as community property, except to the extent that the source of the funds (and any subsequent change in value based on investments) can be traced to the employee-spouse’s separate property. Pensions may alternatively take the form of “defined benefit” plans. A defined benefit plan is one in which, upon retirement, an employee will be entitled to a fixed monthly benefit during the remainder of his or her life. The amount of the benefit is usually calculated with reference to the length of employment. In order to apportion retirement benefits from such a fund between the community and separate interests, courts focus on the period of time over which benefits are acquired, rather than received. Retirement benefits are the property of the marital community to the extent that the work performed to earn them was carried out between the date of marriage and the date of separation. Thus, if the employee-spouse retires before marriage, then the other spouse ordinarily does not have any interest in the retirement benefits, even if they were received during the marriage. By contrast, if the employee-spouse begins and ends his or her employment during the course of the marriage, then his or her retirement benefits will ordinarily be divided equally between the spouses, even if they are not distributed until after separation. Marital community’s percent interest = (Number of months employed between the date of marriage and the date of separation) ÷ (Total number of months of employment). For example, assume that a spouse’s retirement benefits are the result of 20 years of employment: 3 years before marriage, 16 years between the date of marriage and the date of separation, and 1 year after separation. Applying the above formula, the community property component of the benefits is that fraction whose numerator is 16 (the number of years worked during marriage) and whose denominator is 20 (the entire duration of employment, or 3 + 16 + 1). The community component is thus 16/20 or 4/5. The non-employee spouse’s share of the benefits is equal to one-half of the community component, or 8/20. The employee’s share is the remainder, or 12/20. Sometimes, the measure of retirement benefits is not strictly related to the number of years of employment. For instance, the value of a pension may be a function of the number of “points” earned for performing certain tasks, which may vary from year to year. Pensions might also impose a maximum number of years of service that may be considered for acquiring benefits, such that any years worked beyond the cut-off should not be included in the formula. Conversely, some pensions offer additional, putative years of service to an employee spouse as an enhanced early retirement benefit. It is similarly inappropriate to include these fictitious years of service in the formula. The method of allocation should be tailored to the particular circumstances of each plan, with the goal of ensuring that benefits are distributed based on whether they were in fact acquired before, during, or after marriage. Once the method of apportionment between spouses is determined, the next question is how to assign part of the retirement plan to a non-employee (i.e., the employee’s spouse or former spouse). Retirement funds sometimes are not disbursed until several years after the divorce settlement or final judgment after trial. Rather than requiring the non-employee spouse to collect his or her interest in retirement benefits from a former spouse, the law permits the non-employee spouse to receive his or her share directly from the pension plan administrator. This is accomplished by formally assigning a percent interest in retirement benefits from the employee spouse to his or her spouse or former spouse, usually with the assistance an attorney who specializes in the field (known as a “QDRO specialist.”) First, the pension plan itself must be consulted to determine whether there are any specific requirements or suggestions for carrying out an assignment of benefits. A copy of these procedures can be obtained from the pension plan administrator. Second, the law governing the type of plan must be consulted. For public employees, each pension system is governed by its own applicable law. For instance, military retirement benefits can only be assigned if the detailed procedures in the Federal Uniformed Services Former Spouses’ Protection Act (FUSFSPA) are carefully followed. Pension plans for private employees are subject to a comprehensive federal regulatory program under the Employee Retirement Income Security Act (ERISA). Benefits payable under private pension plans generally may not be assigned to anyone other than a plan participant. However, when marital property rights are involved, the benefits may be assigned to the employee’s spouse or former spouse through the use of a qualified domestic relations order (“QDRO”). Each plan to which the order applies. In addition to the statutory requirements, the QDRO may include additional, optional protections for the alternate payee, such as a statement binding “successor” pension plans if the existing plan is later merged, or protection against any possible reduction of benefits caused by the actions of the employee spouse. The QDRO may also assign survivor benefits (i.e., benefits that are distributed in the event of the employee spouse’s untimely death) to the alternate payee, except that some pension plans require spouses to be married for at least one year in order to qualify for these benefits. Once drafted, a QDRO must be submitted to the court for signature, upon which copies will be returned to each party. The parties must then submit the signed QDRO to the administrator of the pension plan. The plan administrator will review the QDRO to determine whether it, in fact, qualifies as such. If the would-be QDRO purports to award a type or form of benefit that is not otherwise provided under the plan, it will ordinarily be rejected. Likewise, if the would-be QDRO does not contain all of the information required by federal law, it will be rejected. Great care must, therefore, be taken to draft and submit a code-compliant QDRO. Once the administrator determines that an order qualifies as a QDRO, he or she must notify the participant and each alternate payee. The retirement benefits will then be distributed to each ex-spouse at the time and in the manner set forth in the QDRO. For assistance dividing a retirement plan between you and your ex-spouse or exploring other options for property division upon divorce, contact the experienced Family Law Attorneys at Bremer Whyte Brown & O’Meara for a consultation.